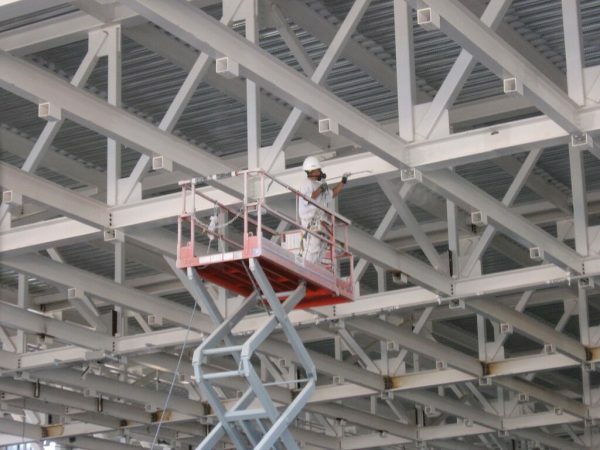 The importance of job site safety is paramount at Penington Painting Company. We pride ourselves on not only making safety a policy; it’s part of the company culture. It is our belief that regardless of the bottom line, NO job is a success if a job-site injury occurs. PPC’s OSHA 500 Certified safety managers are continually training, monitoring and mentoring all PPC field personnel throughout each and every project we are involved with. Prior to starting a project, PPC provides its clients with a Site Specific Safety Plan, outlining the potential hazards associated with the specific job site and the methods for working safely around them. Material Safety Data Sheets are provided to the client and are made immediately available to employees and other trades. Before any task is completed, our foremen generate a “Pre-Task-Plan” outlining potential hazards relative to the specific task and the steps to avoiding them. PPC has raised the bar in ensuring and guaranteeing safety in the industry by creating its own safety bonus program. Bonuses are awarded to PPC employees who meet both safety regulatory agency guidelines and PPC own stringent safety principles. Not only does our safety record speak to our impeccable performance, more than $400,000 has been paid out in safety bonuses since inception.